Artist Marcel Wesdorp was given the opportunity by Galerie Helder to compile an exhibition. Wesdorp chose like-minded artists and called the show Continuous Diversity - a name you have to chew on for a while, but it makes sense. Marcel Wesdorp (1965) is known for his computer-made landscapes, which consist of countless points and lines and are printed in as many shades of gray. At first glance, a work such as 804.7023134 -119.7020505 0 (2018) appears to be a schematic 3-dimensional representation of a specific location. The XYZ coordinates that make up the titles of his works further fuel that idea. Yet that is not the case. They are inner worlds that could exist. Wesdorp creates his worlds from a first idea, and lets go of the process of a computer program. Wesdorp calls the transformation of the idea into the final work of art the essence of his work. 804.7023134 -119.7020505 0 (2018) - Marcel Wesdorp, Courtesy Galerie Helder & artists. The development of an idea is central to Continuous Diversity and the fact that you can do so in many ways is evident when you stand in front of Dark Ark of Veneer Theory (2014) by sculptor Ron van der Ende (1965) Van der Ende used scrap wood from a local farm for both works. He left the colored wood unprocessed, but sawed it into small pieces that he put back together with thousands of nails. When the first surprise about the amount of work it must have been to make all the pieces fit and nail them together, it starts to dawn that the problematic Veneer Theory has been perfectly portrayed here. The term Veneer Theory comes from primatologist Frans de Waal who thereby asserts that human morality is only a thin layer of veneer that conceals our inner primacy and thus separates us from the animals. De Waal regards morality as the result of social interaction with peers, and we do not differ from other animals in this. Dark Ark of Veneer Theory (2014) - Ron van der Ende, Courtesy Galerie Helder & artists. Van der Endes Veneer Theory depicts the classical view that "De Waal" is attacking with an openwork sphere in which you can see a number of shells. With his method Van der Ende seems to comment on this: as if the shells with their countless pieces of wood, broken lines and nails indicate how fragile the Veneer Theory is. Three works by Rotterdam artist Robin Kolleman (1960) are shown that all consist of context, as you find in every first aid kit. The connection is both the starting point and the metaphor. The works consist of connection, but what is connected? Twistgesprek (2017), which consists of four "clouds" of context, you could assume that the context connects different opinions. And the fallen globe of Fallen can be read as a connection around the earth injured by humanity. Ming (2011) - Robin Kolleman, Courtesy Galerie Helder & the artists. But with Ming (2011), a massive vase out of context, a clear interpretation is not immediately available. The vase is on the floor and viewers are expressly requested to pick it up. You almost automatically place the vase in your arm like a newborn child. The vase also has a comparable weight and feels organic due to the material used. Not hard, but not soft either. It is precisely because Kolleman breaks the basic rule that museum objects cannot be touched that Ming raises numerous questions. What does it say that you pick up a vase that consists of mesh, with a name that refers to the most exclusive Chinese porcelain, as a baby? Is it about the fragility of the porcelain or the value that we attribute to such antiques? 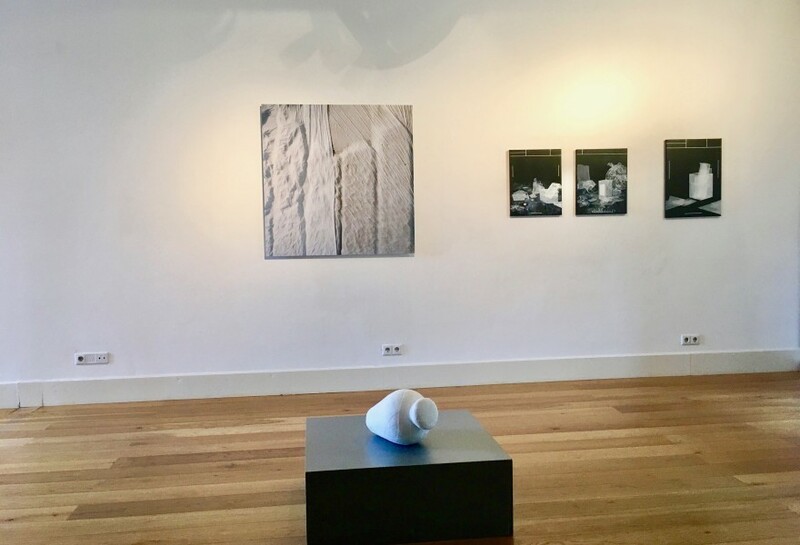 Continuous Diversity (see exhibition page) with works of Marcel Wesdorp, Gerco de Ruijter, Ron van der Ende, Robin Kolleman and Rob Verf is on show until 30 march at Galerie Helder in The Hague.